So far this past week has been the best of our 2018 season . Water levels and temperatures are just perfect and combined with this weeks high tides and new moon, conditions were just right. 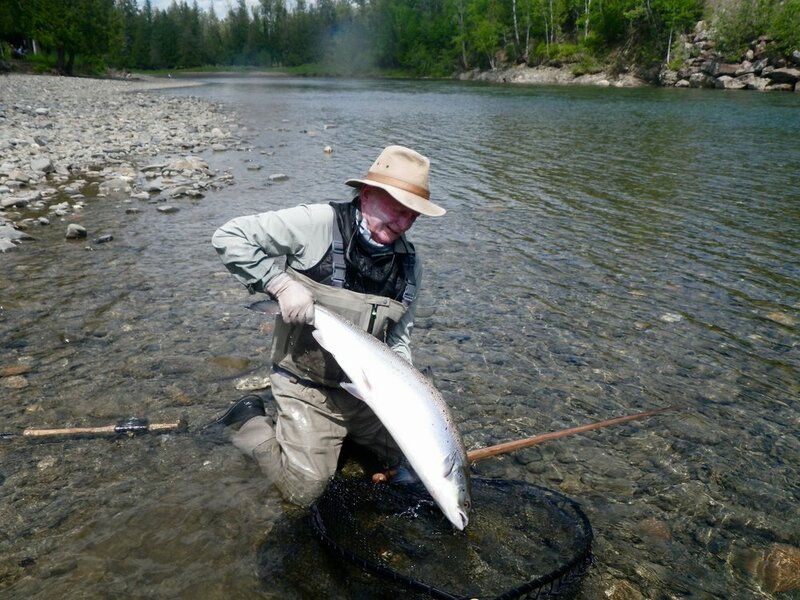 Our lower pools, on the Bonaventure are fishing extremely well and giving up salmon every day. 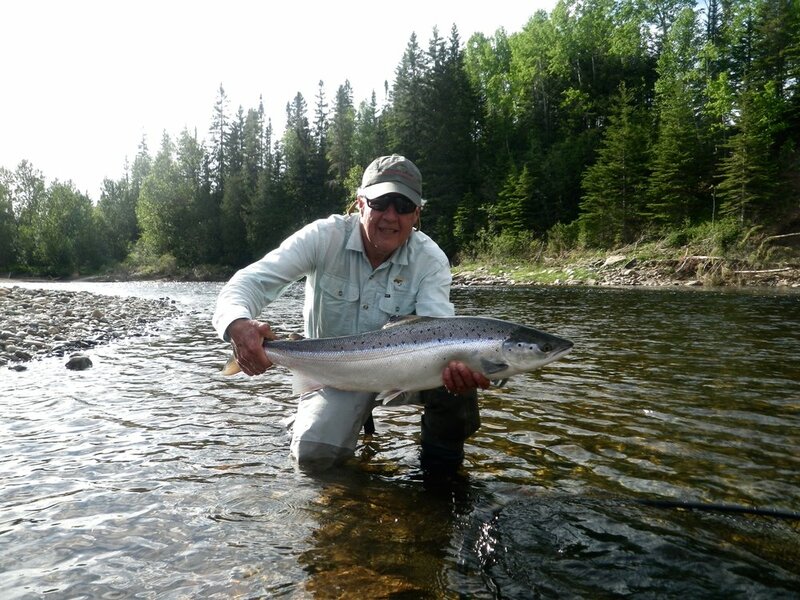 Long time Camp Bonaventure angler Joh Director with his first one of the season, congratulations Jon! Allen Moore has been a regular at Camp Bonaventure for almost 25 years, he's a great angler but most of all a great friend to us all. well done Allen! The Bonaventure is in normal June flow for the end of June and dry fly fishing is picking up. The Petite Cascapedia, a later river than the Bony and Grand is also fishing well. The big run on the Petite Cascapedia usually takes place in late June and early July and this year seems to be the same. 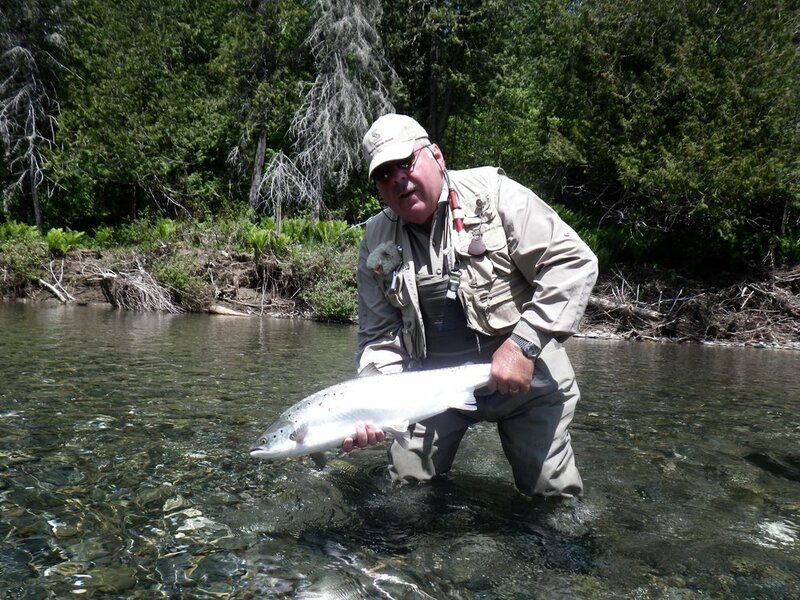 The Grand Cascapedia continues to produce well and we caught a number of fine salmon this past week . This was Steve Osbourne's first trip to Camp Bonaventure, it won't be his last. Nice one Steve! Jacques Morin with his first one of the season, nice one Jacques, congratulations. On the Petite and Grand this weeks favorites have been the Stone Ghost, Silver Rat and John Olin, in sizes 4, 6 and 8 . The Nagli was our big produce on the Bonaventure in sizes 6 and 8 . We also caught a few on tubes including some nice fish taken on micro-tubes as well . Bombers, especially those tied in Green and Dark Brown patterns are the favorites as usual. Bill McCarroll with a fine one from the Bony, nice one Bill see you next year! This was Alicie Beauchemin's first day salmon fishing, imaging after a few years of practice ,wow nice salmon and well done Alicie! Thursdays heavy rain gave our rivers a much needed boost and hopefully entice more salmon to head up stream.